Daniel Janosik is an adjunct professor of apologetics, historical theology, and Islamic studies at Southern Evangelical Seminary, as well as Columbia International University. He is the author of A Christian’s Guide to Islam. Much of the world today is convulsed in an epic struggle between the Christian West and Islam. Scholars seeking to understand the issues look back in history to unearth the roots of this conflict. Of great value in this effort are the writings of an eyewitness, a devoted Christian who served as chief financial officer of the Umayyad Empire and wrote at the time Islam was developing. 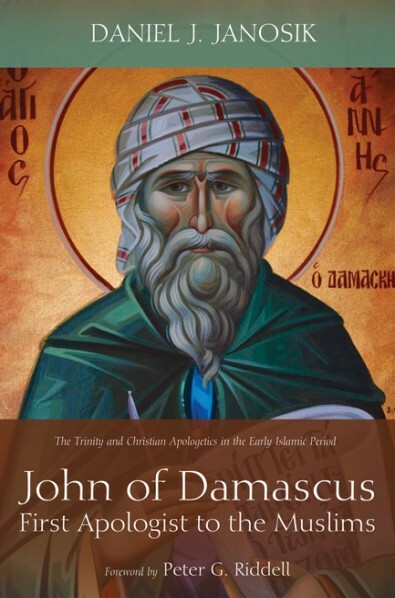 John of Damascus (675-750) authored two major works, the Heresy of the Ishmaelites and the Disputation between a Christian and a Saracen, to provide an apologetic response to Islam from a Christian perspective. His writings shed light on many questions that are pertinent today : When was the Qur’an actually written ? What was the role of the powerful caliph Abd al-Malik in the making of Muhammad ? How did the theological issues related to the deity of Christ and the Trinity develop in the early days of Islam ? This book delves into the life of John and studies his apologetic writings in detail, utilizing the first English translation from the critical text. It seeks to address these questions thoughtfully, provide valuable insights from the past, and then equip today’s church as it engages with Islam.